Boston Personal Injury Lawyer | Joel H. Schwartz, P.C. Hire the Leaders in Personal Injury Law. Joel H. Schwartz, P.C. has been one of the most widely recognized and respected names in personal injury law for more than 50 years. Our partners and associates bring more than 185 years of combined litigation experience to your potential claim. With our longevity and vast experience, we have successfully resolved more than 30,000 claims and recovered hundreds of millions of dollars for our clients in the Boston metro area and beyond. 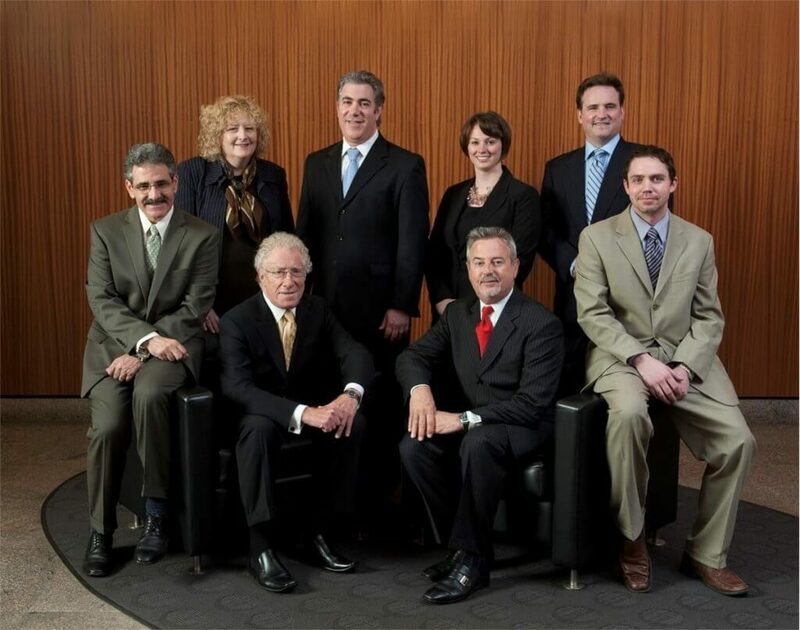 Whether you’re looking for a Boston personal injury attorney, a legal professional to help take on a slip-and-fall case, a greater Boston car accident attorney, a social security disability advocate, or a law expert to assist you with many other complicated legal situations, our accomplished staff is on-hand to provide you with the professional legal representation you need to get back on your feet. When you choose Joel H. Schwartz, P.C. as your legal counsel, you will never feel overlooked. That’s because we place the utmost value on our client’s satisfaction and pursue settlements on their behalf with uncommon vigilance – we’re confident that you won’t find a firm that’s as dedicated to your case as we will be. We wholeheartedly stand behind each one of our clients and provide them with the sort of uncompromising treatment that other law firms are either unwilling or incapable of providing. We will pour over all of the details of your case and explore every potential legal avenue to ensure that you receive maximum compensation for your injuries. In addition, you will be updated regularly on your case so can be well-informed throughout the process. You’re certain to benefit from our immense legal resources, decades of experience and dedication to our clients. Our record of winning settlements for our clients pretty much speaks for itself. Numerous multi-million dollar victories. But your injury claim is the only one that matters. We consistently obtain maximum offers from the insurance companies and will do the same for you. You need a personal injury lawyer on your side who has experience with your specific type of injury. During our 50 years of personal injury law practice, we have dealt with every type of injury imaginable, including yours. We only get paid IF we win your case. Our fee comes from your insurance proceeds at the very end of your claim. You will never have to reach into your pocket and ever pay us anything along the way. We assume all the risk. We are happy to meet you wherever you like. Once we represent you, we take care of everything. Your only job is to get the treatment you need and to focus on your recovery. No more headaches or stress. Named 100 Top Trial Lawyers. Honored as one of Boston’s Top Rated Lawyers. AV Rated “Preeminent.” Avvo Rating “10.” Over the years, many other lawyers, even other personal injury lawyers, have entrusted their personal injury cases to us. You can, too. From the very first phone call or consultation, you’ll see that with Joel H. Schwartz it’s about so much more than the settlement – it’s about being there for you every step of the way and helping you get your life back. You are not alone and will have experts in your corner at all times. If you need a Greater Boston accident attorney or are looking for legal advice to help settle claims related to car accidents, bicycle accidents, motorcycle accidents and more, Joel H. Schwartz, P.C. is the law firm to call first. We can also provide legal services related to wrongful death, medical malpractice, dog bites, nursing home injuries, Social Security disability, mesothelioma compensation, construction site accidents, traumatic brain injuries and many other life-threatening or lifestyle-compromising circumstances. If you have experienced any of these occurrences, you may be entitled to back-pay, future lost earnings, attorney’s fees and costs, and other reparations. Remember that with many cases, timing is essential. If you lost wages, suffered emotional damage, or sustained any form of injury or impairment, contact us immediately so we can file your claim within the Massachusetts statute of limitations. You can access our newsletter archive for helpful tips on how to keep your home safe. Our approach is simple: we use the latest technology, like specially designed software, combined with painstaking research and personal care, to make the legal process as hassle-free as possible for you. While our devoted team members understand that you need relentless legal services, you also need personalized advice that takes each detail into account. Our skilled personal injury attorneys in Boston, Brockton, Framingham and beyond take care of everything for you, including facilitating medical care, advisement regarding your rights and responsibilities, handling all calls and paperwork, collecting evidence, evaluating your claim, and determining how much money you may be entitled to. We serve all of Massachusetts, and if it is more convenient for you, we are happy to visit you at your home, office, or any other place of your choosing. When you’ve been injured due to another’s negligence or wrongdoing, there’s no need to suffer in silence. The Law Offices of Joel H. Schwartz will be your outspoken advocate, wholly dedicated to your best interests. If you’ve suffered physical, mental or financial setbacks as a result of a trauma, you deserve to be justly compensated. When you receive our above-and-beyond care, you’ll know that you made the right choice in choosing Joel H. Schwartz, P.C. as your personal injury lawyers. We know what you’re going through and are here to help. Call us today for a free consultation. As always, there is no fee unless we win.